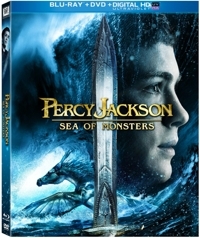 Percy Jackson: Sea of Monsters is a good special effects family movie that’s every bit as accomplished as The Lightning Thief and possibly better—even if it doesn’t follow the Rick Riordan juvenile fantasy novels like a road map. His final assessment surprised me, partly because he had seen the trailer and pronounced it “dumb,” and partly because many fans of the books had pretty much washed their hands of the movies because of how much they strayed from the texts. But my son decided it was “better than the first one, with better special effects.” Even though it wasn’t exactly faithful to the books, he felt it was “still good.” If he had give it a grade, he said he’d award it a B+ or A-, because it was action-packed, the CGI effects were great, and the pacing was good. My pre-teen daughter agreed, even though she hadn’t read the books. So did my wife. 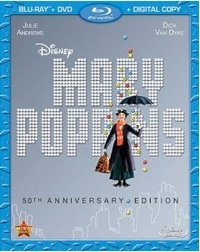 The Big 25th Anniversary Blu-ray offers two ways to watch the film—the original 104-minute theatrical version, and a 129-minute “extended edition.” And so what if that extended edition was available previously on a two-disc DVD that was released six years ago? It’s the first time that the material is available on Blu-ray, and this combo pack should be a welcome addition to the libraries of film fans. If Splash was the film that gave the Bosom Buddies TV star his first big movie role, Big was the one that showed the industry and audiences that this guy Hanks can act. He earned his first of five Best Actor Oscar nominations for his performance, and it’s great to have both the theatrical release and extended version on Blu-ray finally. The idea for Big came during a lunch conversation and the first draft flowed in just four months. One day later, it was a quick sell to producer James L. Brooks, who told his friend Penny Marshall that she had to sign on as director. But the second draft took writers Gary Ross and Anne Spielberg (Steven’s little sister) a full year. During that time, they learned that three other films about body transformations were coming out. Their choice was, hold out for Tom Hanks, whom they had in mind when they wrote the script, or rush to be first with whomever they could cast. What were the other three movies? It’s hard for most people to recall, because Big became a huge hit and remains memorable because of Hanks’ virtuoso performance. You have no trouble whatsoever believing he’s a 12-year-old boy who gets his wish from an unplugged carnival fortune-telling machine and is transformed into a near-30-year-old man. Driven from his home by his mother (Mercedes Ruehl), who thinks he’s a pervert or kidnapper, the suddenly adult and adrift Josh Baskin goes to New York City and finds work at a toy company—all the while hoping to track down the carnival so he can reverse his wish. Johnny Depp and Gore Verbinski conspired to reinvent the pirate movie, so why would it surprise anyone that they’d give a complete makeover to the legend of The Lone Ranger? According to the legend that radio series and ‘50s TV show were based on, the Lone Ranger was John Reid, who rode into a box canyon with his brother and other Texas Rangers in pursuit of the Butch Cavendish gang—who lay in wait and ambushed them, killing everyone and leaving Reid for dead. Enter Tonto, who helps him recover, and soon the masked man dedicated to avenging those Rangers by fighting for truth, justice, and the American way is riding across the West with his faithful Indian companion, rounding up bad guys in every episode. 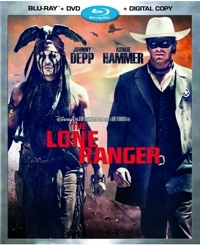 When Verbinski and a trio of screenwriters (including Ted Elliott and Terry Rossio, from the Pirates of the Caribbean franchise) begin with the premise that John Reid is a lawyer and anti-gun crusader and brother Dan (James Badge Dale) is a man’s man kind of Ranger, it serves as the set-up to a punch line. Tonto later finds the dead Rangers, John included, and puts them in open graves, after which a white spirit horse thought to be able to bring someone back from the dead focuses on John, despite Tonto’s efforts to flag him over to brother Dan instead. After John is fully recovered and their reluctant partnership begins, Tonto keeps calling him Ke-mo-sah-be until John finally asks what it means. “Wrong brother,” Depp-as-Tonto deadpans. I don’t know how much Hank Azaria is getting paid to play Gargamel in the live-action/animated Smurf movies, but it’s not enough. If it wasn’t for Azaria’s scrumptious,villainous dramatic monologues directed at his cat accomplice, Azrael, The Smurfs 2 would be one big animated yawn. The scenes that feature Azaria and his cat salvage this 2013 sequel—for older audiences, that is. Younger ones will probably be blissfully captivated by the blue Smurfs too, and all things Smurfy. It’s ‘tweens, teens, and adults who will find the plot and the animation sequences pitched way too low to be of much interest, and the other on-camera stars—Neil Patrick Harris (How I Met Your Mother) and Jayma Mayes (Glee)—seem so caught up in the dumbing-down that their performances don’t have the same wink-wink quality of Azaria’s. So yeah, this guy and his CGI-enhanced cat save the day . . . sort of.